Dr. Jon Hellin, Sustainable Impact platform leader, cited the importance of various methodologies of life cycle analysis in addressing the issues of sustainability and productivity in rice production, which is being assessed by cross-cutting platforms in IRRI. He recognized the importance of partnership as necessary aspect in the work to achieve relevant impacts. 25 participants from various organizations, including AfricaRice, UP Los Banos, PhilRice, Philippine Carabao Center, Vietnam Academy of Agricultural Sciences, Vietnam Sustainable Agriculture Transformation project, and the Food and Agriculture Organization, as well as other IRRI researchers joined the training workshop. 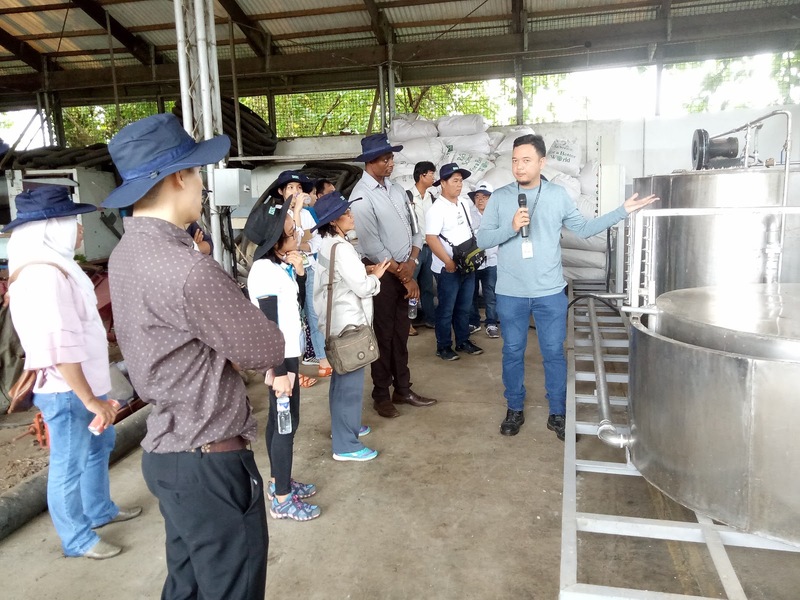 The workshop enhanced capacity on sustainability assessment by using the Simapro software through hands-on exercises, visits to field experiments, and demonstrations on measurements of factors for life cycle analysis. Participants worked on their individual projects to analyze sustainability indicators from their relevant agriculture-based researches. Martin Gummert, leader of the Mechanization and Postharvest cluster, set the scene of the workshop by presenting advantages of mechanization as a means to address shortage in labor, reducing losses, and maintaining the quality of rice. He added that sustainability is an important aspect of mechanization that looks at the three dimensions - social, economic, and environment. During the workshop the participants were exposed to the ongoing research activities on rice straw management options and mechanization, such as the life cycle analysis and GHGE experimental plots, batch biogas digester, rice straw furnace for heated air drying, and a visit to the Postharvest laboratory. Dr. Sali Atanga Ndindeng, scientist from AfricaRice, appreciated the usefulness of the training course. “Our time was well spent and all my questions were addressed,” he said. An agricultural officer from the Food and Agriculture Organization, Dr. Makiko Taguchi, cited that the workshop was interesting. “The training course made the different parts of my brain work. I look forward to future collaborations,” she said.